This page may contain Hindi-language content that should be translated into Nepali. ↑ रिचर्ड डिलेसी, परवेज दीवान (१९९८). हिन्दी & उर्दु फ्रेजबुक. लोनली प्लानेट. . http://books.google.com/books?id=QkJH90HBlekC. "... What's the weather like? 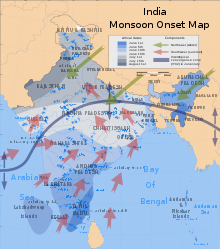 Mausam kaisa hai? ..."